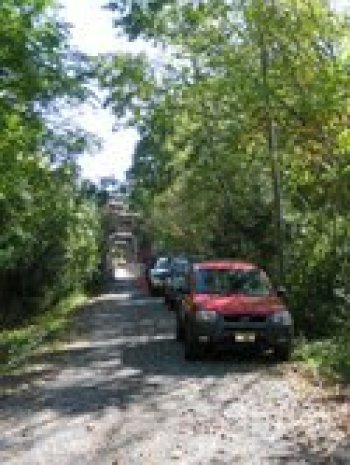 From September 20-22 bridge safety inspections are being conducted on the three Pine Creek Rail-Trail bridges at Torbert Village, Ramsey and Waterville. Workers from two contracted companies in central Pennsylvania are involved: C.C. Johnson & Malhotra, P.C., Engineering Infrastructure Solutions, out of Camp Hill; and Harcon Bridge Access Services, from Paradise. Bicyclists can still go over these bridges during the inspections, but will have to be careful going by the men, their vehicles and equipment.